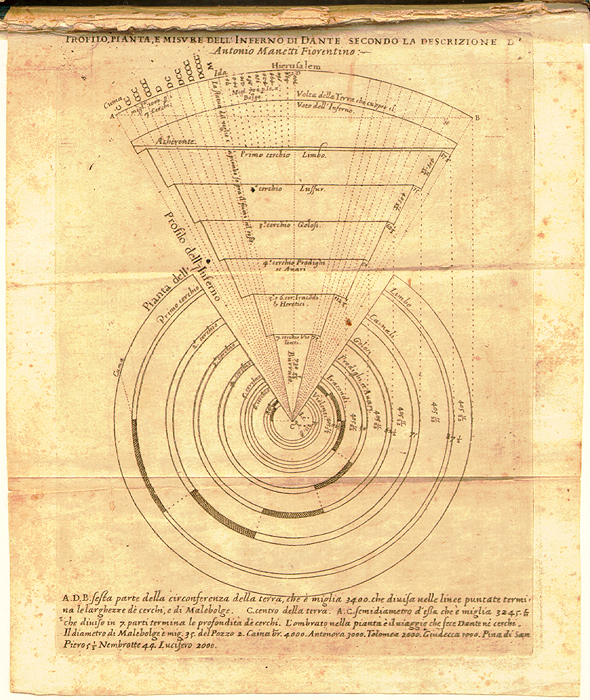 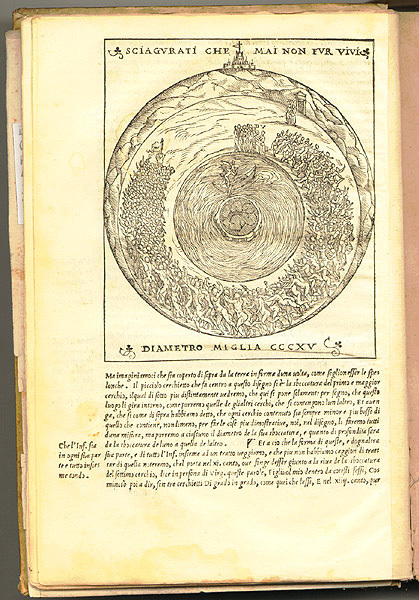 The Florentine mathematician and architect Antonio Manetti (1423-1497) is generally considered the founder of the study of Dantean cosmography, and is particularly noted for his investigations into the site, shape and size of Dante's Hell. 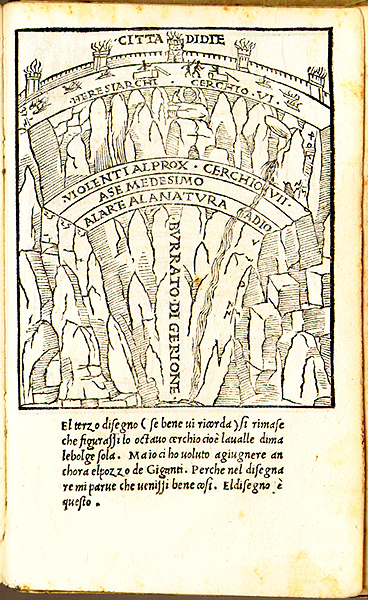 Although Manetti never himself published his research regarding the topic, the earliest Renaissance Florentine editors of the poem, Cristoforo Landino and Girolamo Benivieni, reported the results of his researches in their respective editions of the Divine Comedy (1481, Florence: Nicolo di Lorenzo della Magna; 1506, Florence: Filippo Giunti). 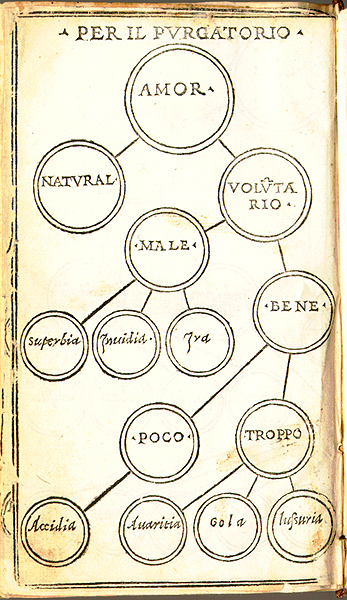 The Benivieni edition, also known as the Giuntina, features two dialogues in which Manetti's theories were expounded. 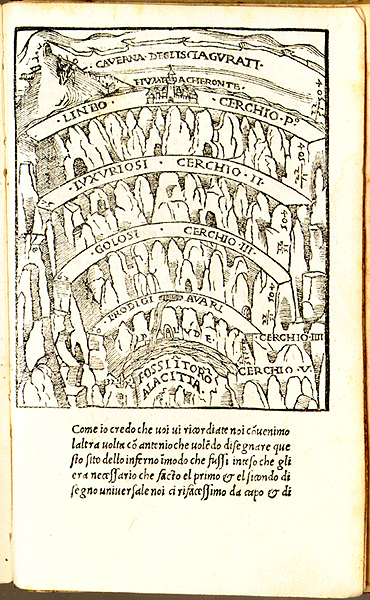 It included for the first time a series of woodcuts specifically intended to illustrate Dante's cosmography and in particular, the structure of Dante's Hell ( a, b, c, d, e, f, g). 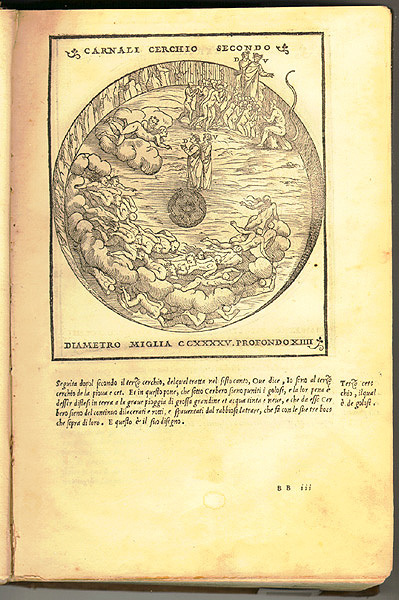 These woodcuts from the Giuntina edition of the poem represent the beginnings of an iconographical tradition treating Dante's cosmography and infernal geography which continues to this day in scholastic editions of the poem. 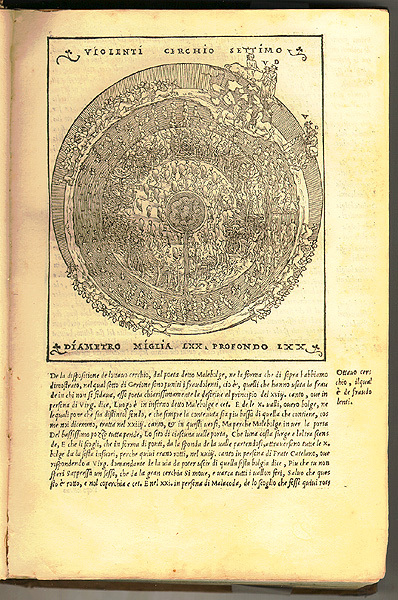 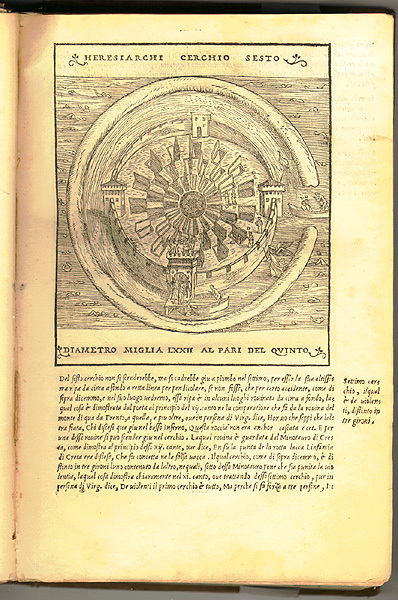 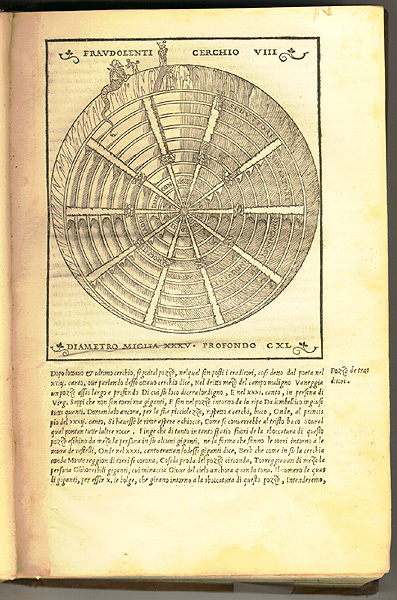 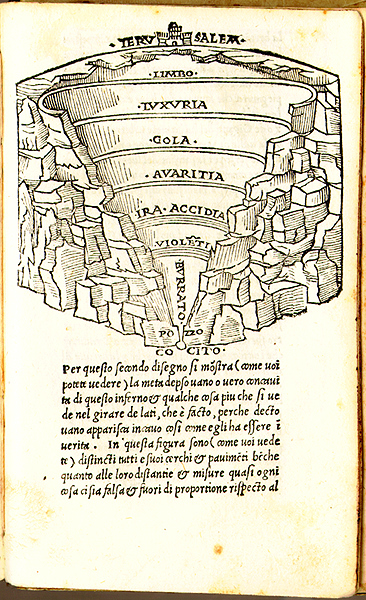 The Venetian publisher Aldus Manutius' second edition of the Divine Comedy in 1515 followed the example of the Giuntina by presenting a cross-section of the inverted cone of Hell, complete with calculations of infernal mileage derived from Manetti's theories. 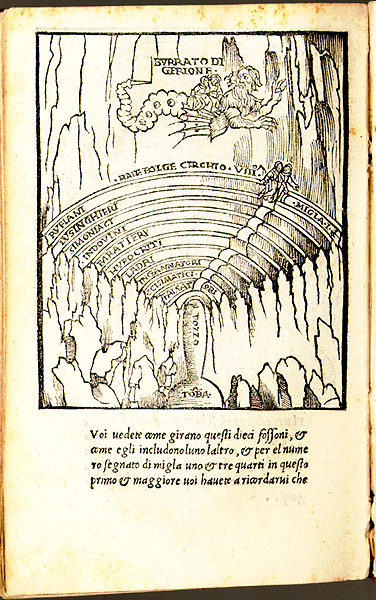 Aldus' edition also included another chart presenting a moral schema (a, b) of Lower Hell which has been recently attributed to the Venetian humanist and editor of Dante's poem Pietro Bembo. 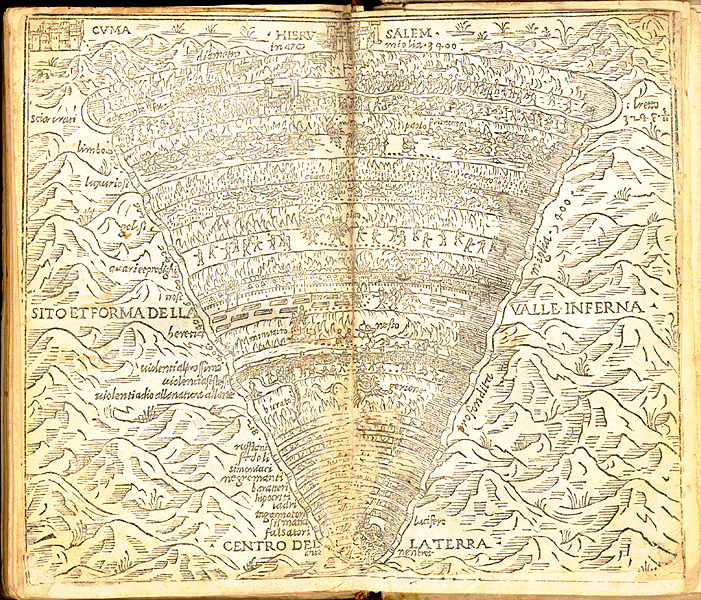 Bernardino Daniello's edition of the Divine Comedy with commentary (1568, Venice: Pietro da Fino) presented yet another striking and original illustration of Dante's infernal realm. 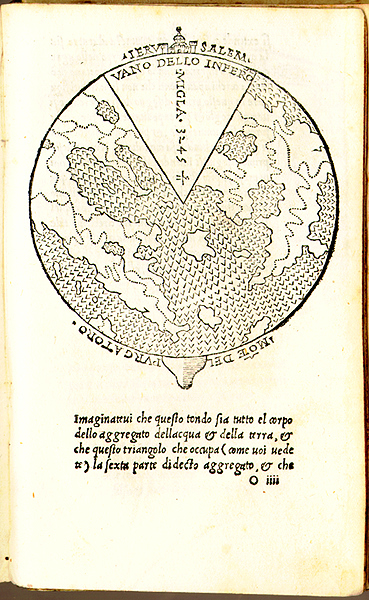 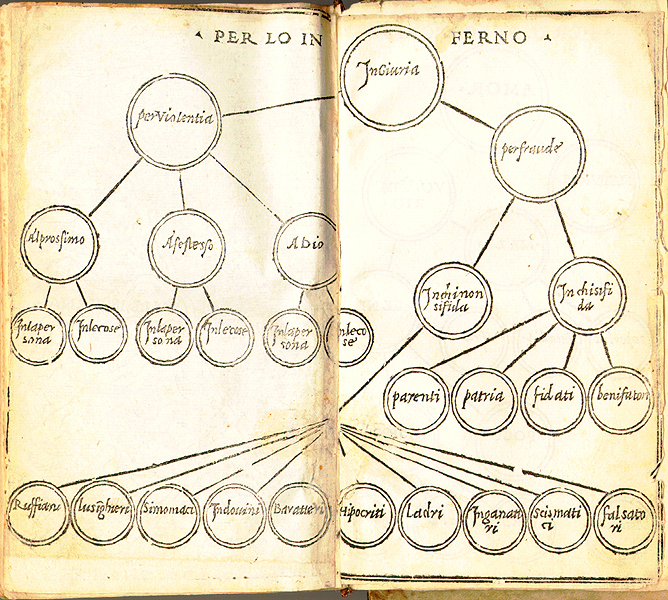 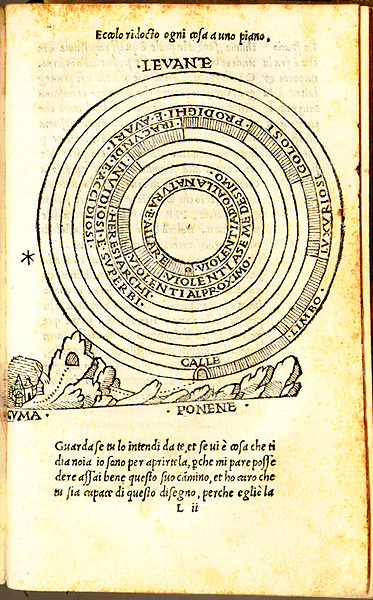 The study of Dantean cosmography was a primarily Florentine or Tuscan preoccupation throughout the Renaissance. 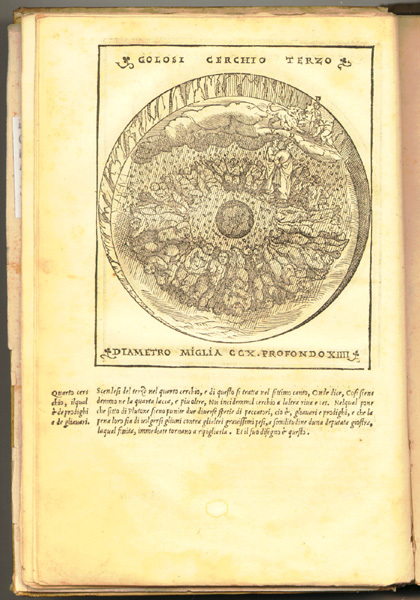 Even the young Galileo Galilei delivered two lectures to the Florentine Academy during the winter of 1587-88 in which he defended Manetti's opinions against challenges to the Florentine's views offered in the commentary by Alessandro Vellutello (1544, Venice: Marcolini). 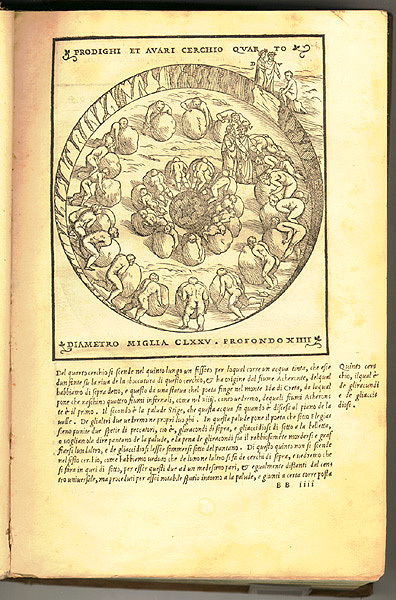 Vellutello had provided his own series of illustrations(a, b, c, d, e, f, g, h, i). 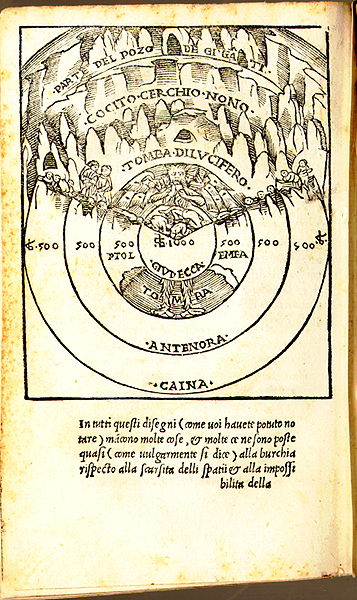 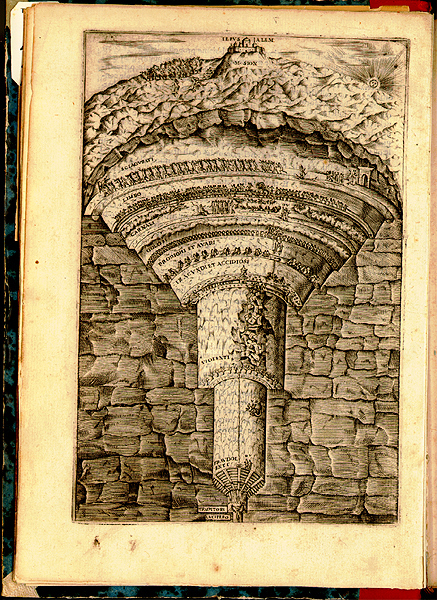 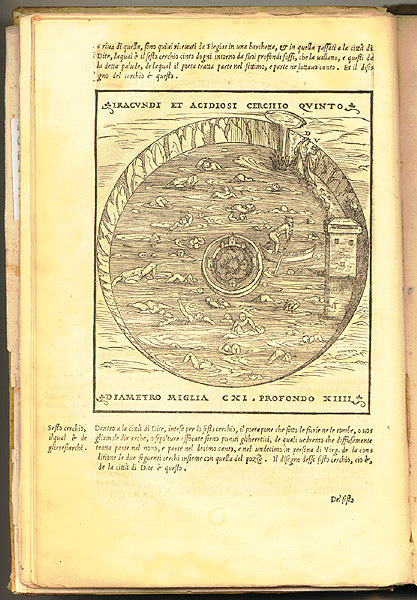 In the scholarly 1595 edition of the Divine Comedy prepared by the Florentine linguistic academy, Accademia della Crusca, the editors did not fail to include a geometrical engraving of Hell's design and dimensions inspired by the Florentine Antonio Manetti's theories.